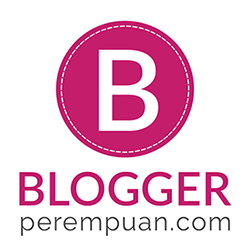 I bought so many beauty samples yesterday while stocking my online shop's need. Hihi. I am such a naughty owner I guess. So, I was tempted to try this beauty sample from The Skin Food. So far, judging from my customer's review, most of them agree that The Skin Food is a great product when it comes to skin care (emulsion, cream, serum, mask, etc.). 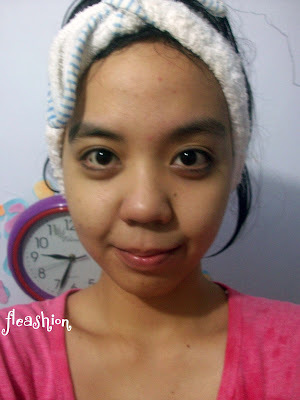 Here is my review of The Skin Food Rice Mask Wash-Off. 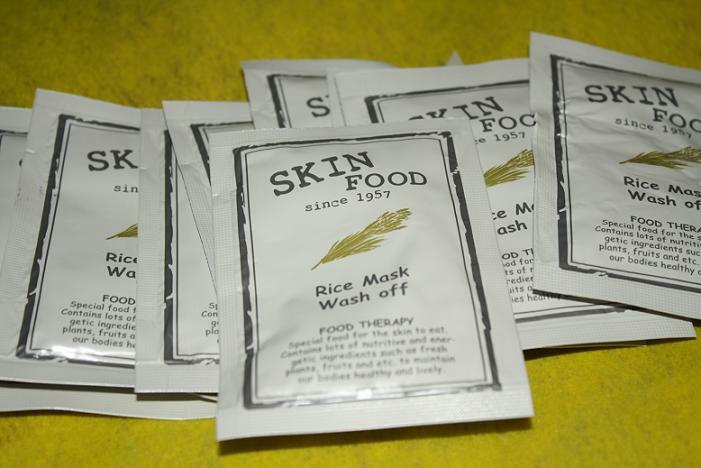 The sachet can be used around 2-4 times. For me, it took 5 times of use till it goes all out. 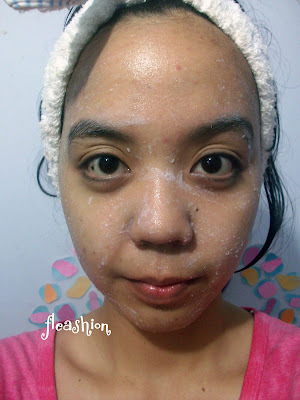 The texture is a lot like common scrub, at first, if you grab it from its sachet you will think that this mask doesn't contain any scrub, so I was surprised to find out that it has scrub. The scrub is soft though, it won't irritate your skin. I have tried The Skin Food Black Sugar Mask Wash-Off before and it feels slightly different. 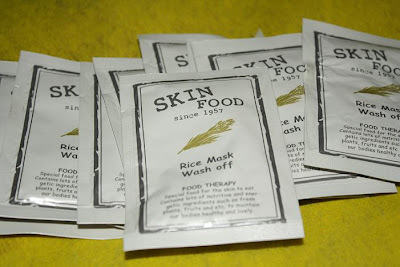 The texture of Rice Mask is softer than Black Sugar. You just have to apply it the way you apply scrub to your face. You just need 1/4 of its sachet for your full-face including neck. And massage it circularly just like when you're washing your face. Then leave it for a while wetting your face. While you're pouring the water you can continue massage it on your face. Then rinse it off. Finish! 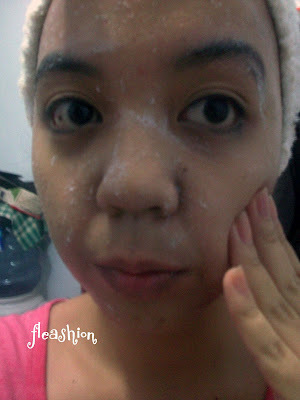 This is my face after using it.